Info zu ¡Vamos a Guarachar! This highly acclaimed band from Tuscon, Arizona is led by the musical polymath Sergio Mendoza, who is also a member and co-producer of Southwestern music legends: Calexico. Whereas some short-sighted politicos shout for a wall along the desert border between the US and Mexico, Sergio and his hot-wired band, smash that idea into pieces. 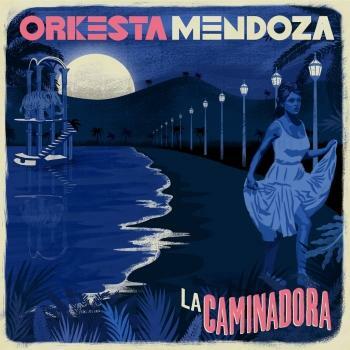 Orkesta Mendoza fashion a borderless music that spans the Americas (North, Central, South) embracing mambo, cumbia and mariachi with same vigor as psychedelic pop, twang rock and analog electronics. 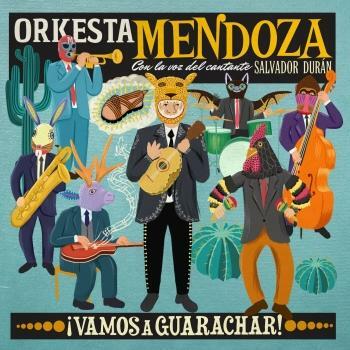 The return to those sounds was a strong one in 2012’s Mambo Mexicano, co-produced by Mendoza and Joey Burns of Calexico – a band for which Mendoza has become an increasingly integral touring and recording member. While that record had a studied air, tentative in parts (as befits the renewal of an old love affair), ¡Vamos A Guarachar! is another beast entirely: by turns raucous (‘Cumbia Volcadora’, featuring Mexican electronic pioneer Camilo Lara), tender (‘Misterio’, surely Salvador Duran’s finest moment with the band so far) and plain serious fun, as in ‘Contra La Marea’ and ‘Mapache’, it also bears a robust electronic edge, a keen pop sensibility and all the hallmarks of Mendoza’s love of 60s rock, with the closing track, ‘Shadows of the Mind’, sure to be included if anyone decides to update the Nuggets collection for the 21st century. This is roundabout way of saying that it appears to have everything, but never too much of anything. Focused, fierce and beautifully executed by a superbly drilled set of musicians, it is a record that fully matches the band’s explosive live performances. Nogales, Sonora, Nogales, Arizona: this is what the border looks like here – for now. To talk about borders and the diasporas they create, is to be pitched headlong into our era’s most urgent debate, marked by Trump’s lurid obscenities and the lines being hastily reinstated across Europe. 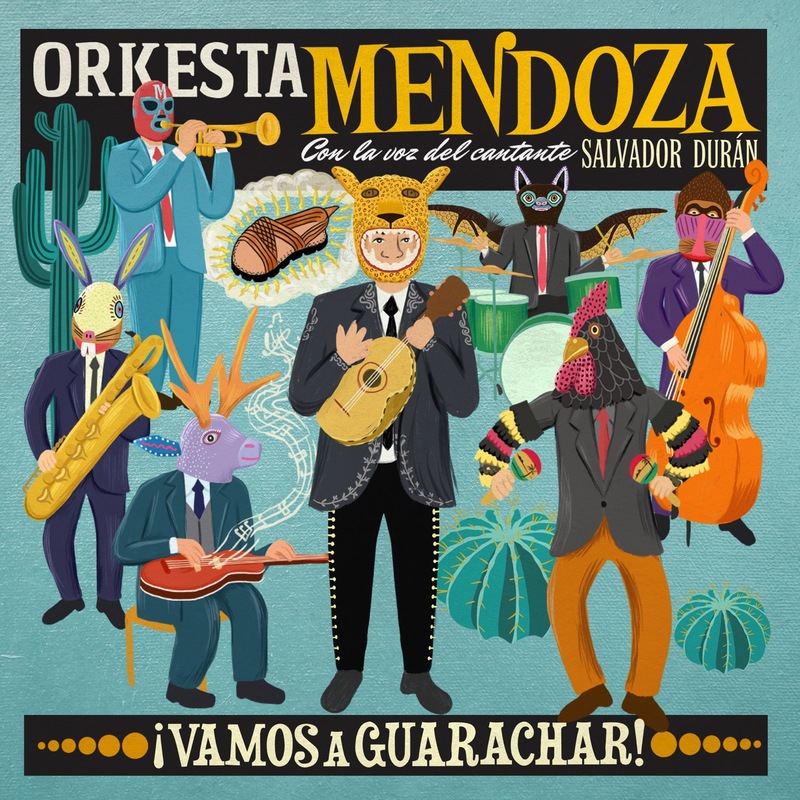 Orkesta Mendoza’s contribution to that debate is to show us what the border sounds like and what masterpieces can be achieved by honest cultural exchange. What we decide to do with that information is up to us. With this record, however, we’ll have an awful lot of fun deciding.